This 61-mile out-and-back route starts in Gainesville, FL (behind Gainesville High School) and passes through Worthington Springs, FL, reaching Lake Butler, FL before returning to Gainesville. This is a popular route with local bicyclists as State Road 121 has no turns, stop signs or signalized intersections until reaching Lake Butler. Additionally, State Road 121 was recently resurfaced, making the route smooth and fast. At mile 11.4, riders can stop and see Florida's largest live oak tree at Cellon Oak Park. Further down U.S. 121, the route briefly veers off the highway to check out Chastain-Seay Park. The park sits at the bottom of a steep bluff below Worthington Springs, and offers a nature trail as well as a fishing pier on the Santa Fe River. This is where the namesake Worthington Springs is located. However, the spring no longer flows. Just beyond the park, the route passes through the small town of Worthington Springs. The spring itself is no longer flowing, but is still worth a look. 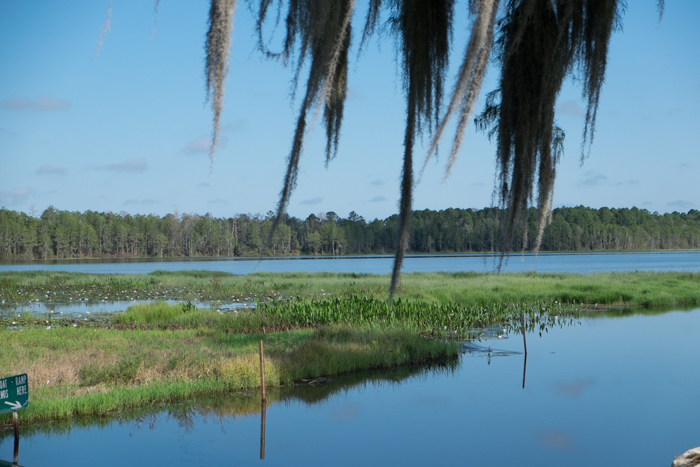 The route ends in the small, rural town of Lake Butler, taking a quick loop around the town before heading back towards Gainesville. Riders can travel to the edge of the picturesque lake on the northern side of town, or explore the quiet, bike-friendly streets of the city itself.